While Sigma Kappa strongly encourages chapters to invite legacies to join our membership, legacy status does not guarantee membership and chapters are not required to pledge legacies. Sigma Kappa expects that all members will follow Sigma Kappa policy, college/university policy, and all local, state and federal laws. The Sorority expects her members will make informed, reasonable, and responsible choices regarding herself, her sisters, her campus and the national organizations safe. Sigma Kappa has a number of policies designed to reduce the potential for harm to our members and to address situations where issues have occurred. Sigma Kappa requires regular education for the members on these policies. Collegiate Chapters and members are expected to self-govern behavior when it does not align with our values. Our risk management policies help to inform the use of a standards council process to address situations where issues have occurred. Each collegiate chapter sets minimum scholastic standards for its members to maintain. The standard of performance is set by the National Policy Handbook of Sigma Kappa. This reflects Sigma Kappa’s belief that individual excellence develops chapter excellence. Sigma Kappa chapters are expected to provide leadership in academics as well as in other areas of campus life. To learn more about the academic policies of Sigma Kappa, consult section VI of the National Policy Handbook. 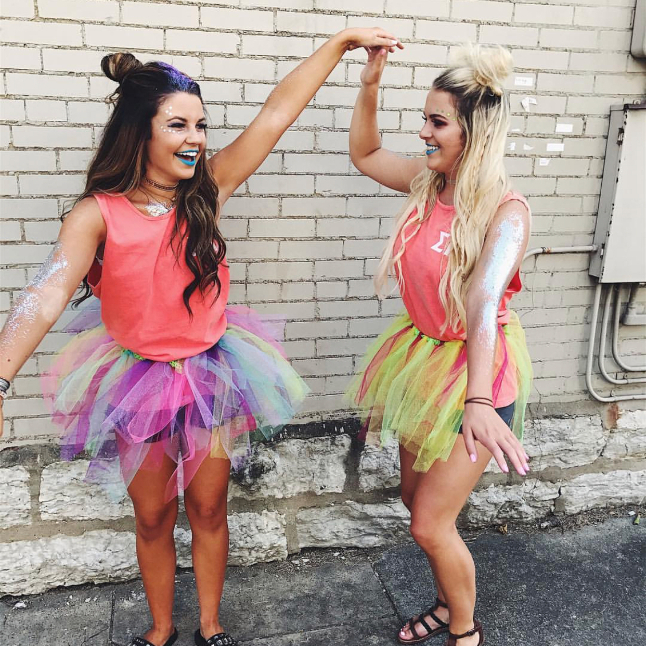 Sigma Kappa provides each member opportunities for growth and development. Whether serving as a chapter officer or participating in membership programming. During your time as a collegiate member you will be grow your skills in the five competencies Sigma Kappa’s education focuses on: National & Global Citizenship, Career Readiness, Meaningful Relationships, Self-Awareness & Development, and Holistic Personal Wellness. Through these competencies you will gain invaluable skills and experiences that will take you into the next phase of your life and beyond! After graduation, your daughter has the opportunity to remain involved in the organization for years to come. With over 175,000 members worldwide and 102 alumnae chapters in 34 states, your daughter has the opportunity to connect with women wherever she goes in the coming years. Alumnae membership looks different for each of our members. Some are involved in an alumnae chapter who meets regularly for activities and service events while others are advisors for a local chapter. Our members are able to continue their personal and professional development with Sigma Kappa through social and philanthropic activities with other alumnae members. The possibilities are endless and her Sigma Kappa involvement can and will look different over time based on her life experiences at the time. Alumnae and collegiate chapters across the country are encouraged to invite women who have never joined a National Panhellenic Conference sorority to be a part of our Sigma Kappa sisterhood through the alumnae initiate program. These women are all around you and may have roles in your life such as university faculty or staff, friend from a business association or charity league, personal friend or co-worker. They may be your mothers, sisters, daughters, aunts, or friends. A prospective alumnae initiate should be invited to several non-ritual events with the alumnae and/or collegiate chapter. These events should teach her about our heritage, philanthropies, values and the national organization. Once a prospective alumna initiate expresses a desire to be a member of Sigma Kappa, she should complete an Alumna Initiate Application. This application requires two Sigma Kappa alumnae to recommend her for membership, and reference letters may be provided by the alumnae to support the recommendation. It is important to start the paperwork at least one month prior to Initiation to allow the collegiate chapter time to conduct a vote and to ensure all the paperwork is process at national headquarters. If you would like to learn more about this process or qualifications for becoming an alumnae initiate, please contact Sarah Eller, director of alumnae services, at seller@sigmakappa.org. If you would like to get more involved as an alumnae, click here.